Archipelago, forest, mountains and bogs. Hiking trails, nature reserves. Ancient petroglyphs, ancient monuments and burial grounds. Forgotten glades, secret paths, sacred forest groves. Read more below about the excursions on offer. Various tours in Grebbestad and Fjällbacka archipelago. What are you longing for? A slow sightseeing trip? Transport to a nice beach for sunbathing? Or sailing traditional “bohusjulle” in downwind? Two different boa ts offer tours this summer. Perlan is a small traditional wooden yawl, probably from Orusttrakten. She is 5 meters, rigged with spritsail and outboard engine. Perlan can take up to a maximum of 3 adult persons (depending on choice of trip) and offers shorter excursions from the home port Grebbestad. 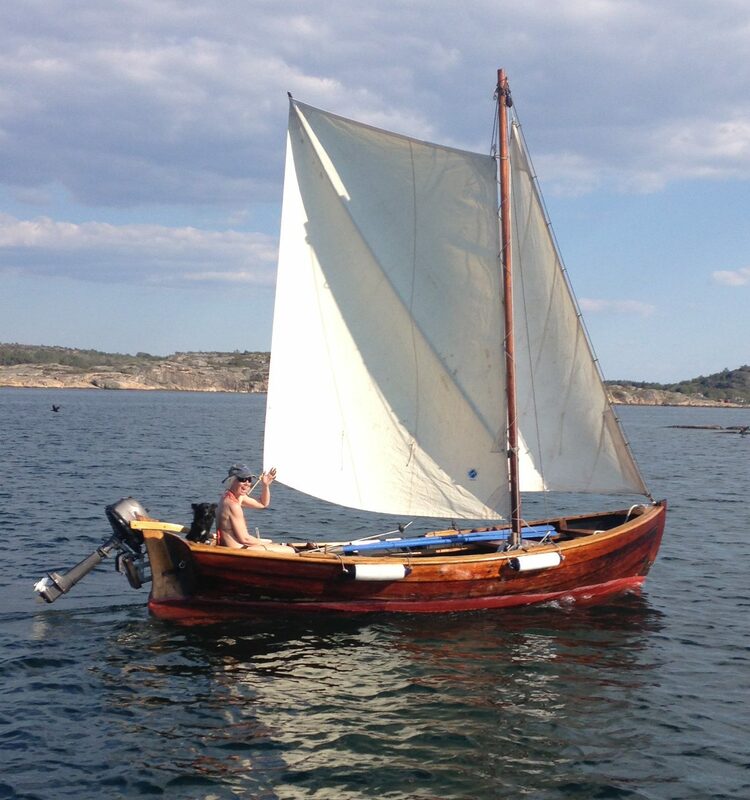 Munin is also a traditional open yawl, 5.5 meters in length. She was left for many years in a garden somewhere, was rescued in the end and got partly new plating. 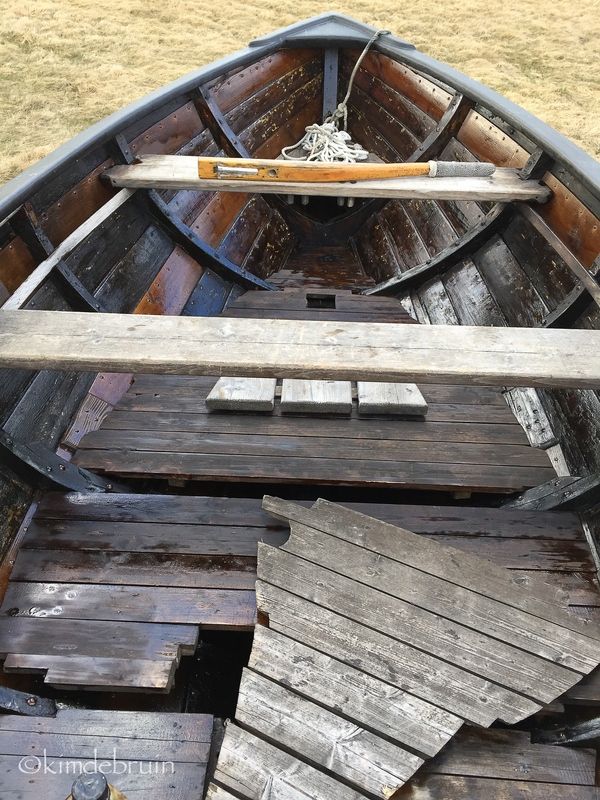 The project came to a halt but took off again in the winter of 2015/2016 when she became coated and had the engine installed. Munin will, when she is totally completed, look as genuine as an old bohusjulle; with red sails and a steady scent of tar. In the summer of 2016, she will run her first guests. Follow the process in the blog! In Tanum there are many lovely places for hiking. Deep, magical forests, as well as fairy tale paths along the coast line. Rippling streams, flowered meadows, rushing waterfalls. Any type of nature experience you wish – you can find it in Tanum. Simple refreshments are included. While with clothes according to weather, water bottle and walking shoes. A quiet outing is to still the mind, clear the mind, find your way back to the original setting. The excursion can be carried out on land or on the water. Collection at the agreed place. Information on how to handle silence; What thoughts and feelings that can crop up and how to relate to them. We plan together when talks will take place during the excursion, for example during snack time or afterwards. Meditation or simple mindfulnessövningar can be offered upon request. Duration: 1-3 hours depending on the destination. Contact me for more information, pricing options, options and more!